First look poster of Chennai Express was released in January, it means six months prior to film’s release. Then the movie was promoted extensively two months before release. YRF released a motion poster of Dhoom 3 in August and film is scheduled to release at the end of December this year. Promotional activities of Dhoom 3 are presently on. Yeh Jawaani Hai Deewani released its first look in February 2013. The film released on May 31. Before the extensive two-month promotions of Krrish 3, they released first look of the film in June and the film released in November. Hindustan Times asked the trade pandits if that delay in promotions will affect the fortune of the movie. Not when you’re talking about a Salman Khan film, they say. Trade analyst Taran Adarsh says, "Usually, a big-budget film’s first look comes out at least two-and-a-half months prior to release. Then, depending upon its readiness, the promos are released. 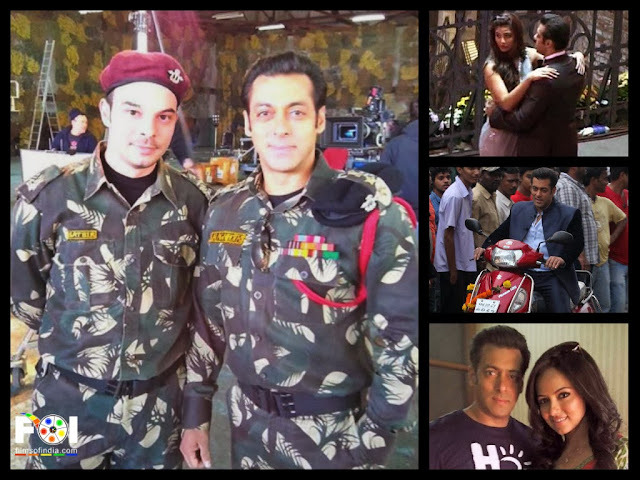 Yes, they (the makers of Jai Ho) are behind schedule, but they will manage." Film exhibitor and distributor Akshaye Rathi says, "If the movie has a star like Salman, the makers don’t need to promote it. Though they are late, they will go hammer and tongs with songs and promos in the time they have in hand. Besides, the makers are banking upon the return of Salman." Distributor Ashok Ahuja adds that "for a Salman film, even 10 days prior to release is a good enough period (to promote a film). The power he has is enough to pull crowds to the screens." Not confirmed, but if rumors are to be believed, first look of Jai Ho is going to release with R.. Rajkumar.